Match Tours are seemingly losing their popularity due more and more as the 2014 season goes on. I can understand why, especially due to the format, but they are still fun to some respect in their own right. Day 1 - I was not against anyone unfortunately. 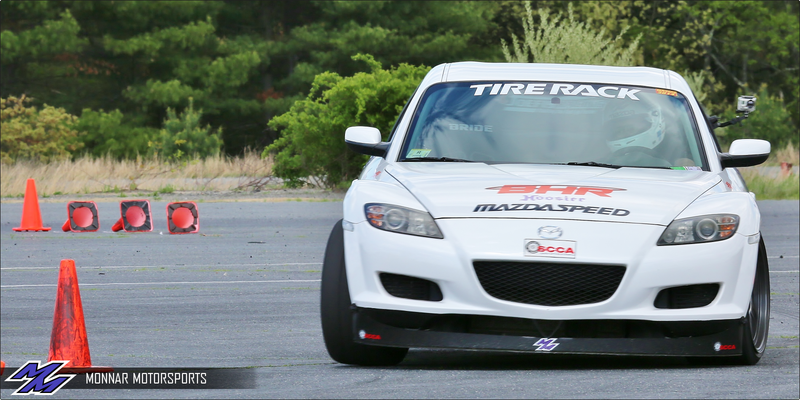 That being said however, I was able to focus on pushing the car and testing out the new rear springs I put in. I set the rear swaybar back to soft, and replaced my old 448 lb. springs with new 560 lb. springs! I was pleased to find out that my idea worked and the car behaved exactly as I needed it to; able to rotate well on low-speed elements and still push at high-speed elements and transitions. By the end of Saturday, I was 10th out of 148 in PAX with a '55.962 clean. Because of my placement in PAX, I made it into the elimination bracket for Sunday. Day 2 - Unfortunately I was knocked out the first round. I was able to beat my dial-in time of '55.962 with a '55.851, but with transmission problems and basically dead Hoosiers, it was a losing battle. I'm still glad to see I moved up in PAX on Sunday to 9th, with an average of 8th between the two days. Overall I was still happy with my performance given how bad the tires were, and having to adjust to the suspension changes I made. 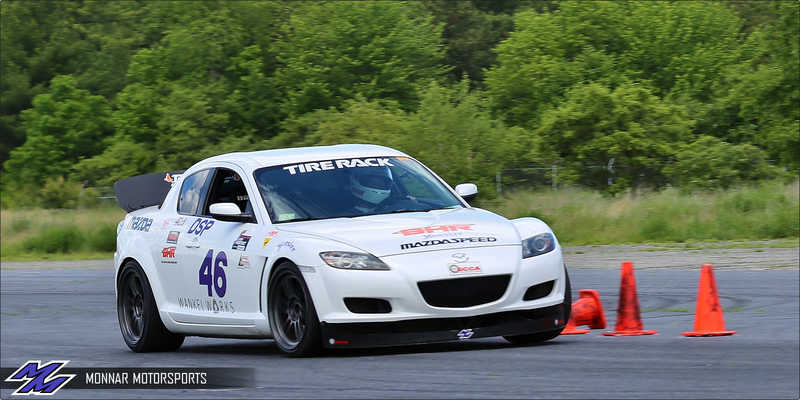 The rest of the results are located on SCCA forums, here. Below is a video of my back to back run on Sunday. You'll see where I couldn't shift into 2nd, followed by starting to slide on my second run as well.